Front Range Regenerative Medicine’s revolutionary Amniotic Regenerative Cell procedures treat all the damages and underlying conditions that cause you pain. At Front Range Regenerative Medicine we specialize in back pain treatment. We have pioneered the industry’s latest proven alternatives to surgery and steroids. Our in-office, same-day procedures will alleviate your back pain regardless of the cause. 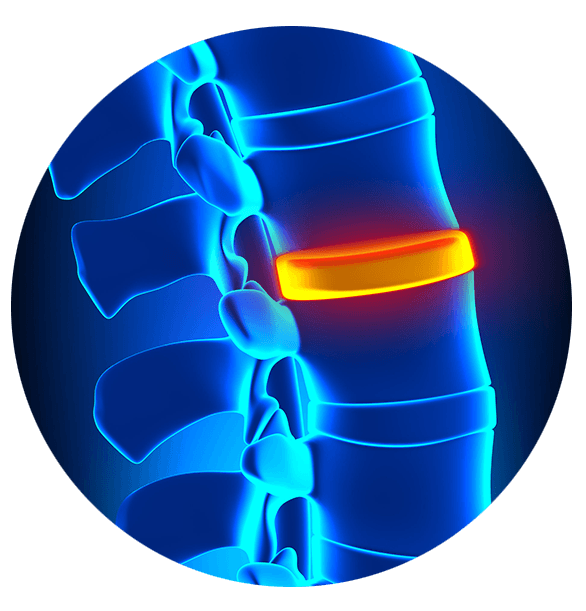 We treat a range of conditions including spondylolisthesis, spinal arthritis, intervetebral disc degeneration, spinal stenosis and herniated discs. Even those with little or no cartilage around their knee have benefited from Front Range Regenerative Medicine’s procedures. Front Range Regenerative Medicine’s revolutionary platelet rich plasma (PRP) and Amniotic Regenerative Cell Therapy procedures treat all the damages and underlying conditions that cause you pain. Our doctors will inject these cells to the target area, and they then act as an immunologically privileged material to rebuild and strengthen the damaged tissue which causes back pain. Rather than going for the traditional treatments, you can visit Front Range Regenerative Medicine for a non-invasive alternative. Our same-day procedure eliminates the pain, recovery time and risk associated with traditional treatments. Our procedure also treats the underling damage that causes the pain. Front Range Regenerative Medicine treatment for osteoarthritis typically includes a combination of Amniotic Regenerative Cell Therapy and our advanced form of platelet rich plasma (PRP) therapy which has been fortified and enhanced with additional natural growth factors and cytokines.